Barbie always makes girl’s dream comes true. 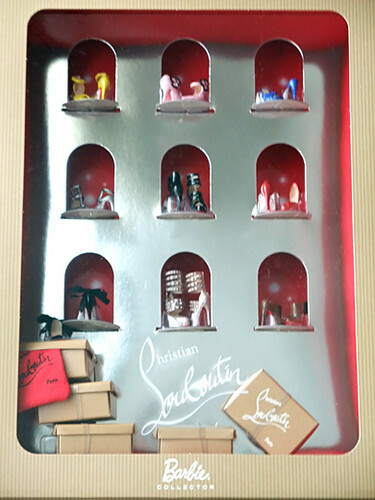 Now she has a lot of Christian Louboutin’s shoes!! The box is like a shopwindow. I envy her! Awwww, God! It’s so cute! OMG! Those stilettos are lust! Barbie is always so stylish :3! !